Did you know that we now create custom hand-drawn maps for wedding invitations and welcome books? Yes! 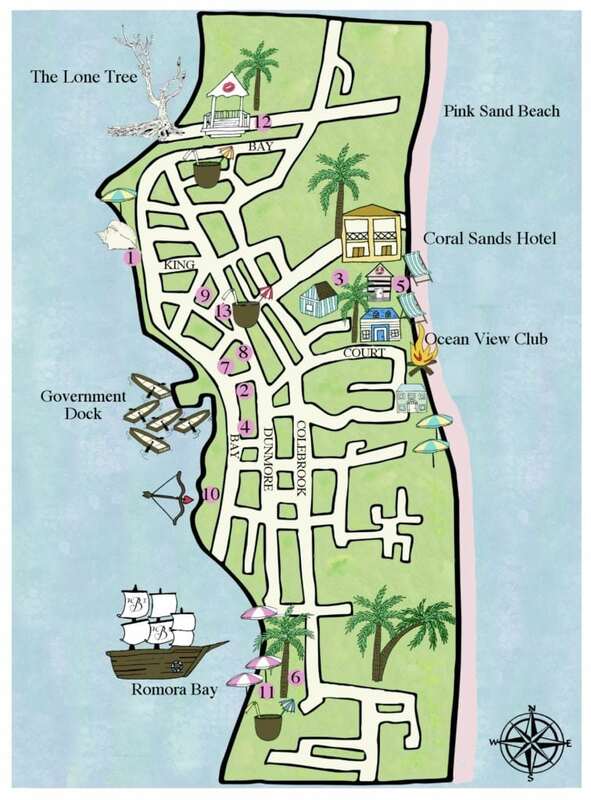 We created our first ever custom map this year for a fabulous couple having a destination wedding on Harbour Island in the Bahamas! My goal was to utilize a watercolor palette that was in harmony with the pinks and blues commonly found in the Caribbean. The Bahamas are known for their pink sand beaches, too. We numbered each location in pink, and then listed the name and description of each place on the opposite page. Guests could then decide where to dine for lunch, which beach to attend, or simply to take a walk. There were also a few secret messages on the map. If you look toward the top of the map, you will see a lip print. This is the location where the couple shared their first kiss. Although the island is a bit longer at the top and at the bottom of the map, we cut it off because most of those areas are residential. Instead, we focused on the fun activities without fearing confusion from the map-reader. Our goal was to make a colorful, whimsical and fun map for the couple and their guests to enjoy.